The Ministry of Manpower (MOM) has taken action against 174 companies in Singapore for flouting 353 workplace safety violations. The infractions were uncovered during a month-long Workplace Safety and Health (WSH) enforcement operation, during which MOM conducted surprise inspections at 250 work sites in high-risk sectors, including the construction and marine industries. MOM said Work at Heights (WAH) lapses, such as unguarded openings at work sites and the lack of reasonably practicable measures to prevent a person from falling during removal of barrier or guard rail, remained a concern. Among the work sites investigated, 60 were issued fines ranging from $1,000 to $13,000 per inspection, with a total of 108 fines being given out. MOM also issued Stop-Work Orders (SWOs) to four work sites which were found to have severe WSH lapses. 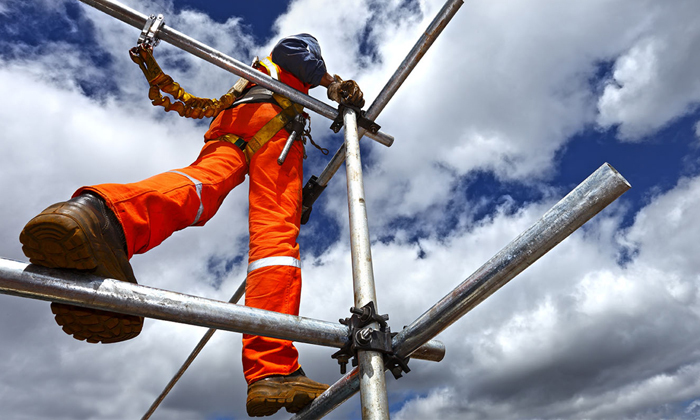 However, investigations found 84% of work sites have developed and implemented Fall Prevention Plans, while 77% had put in place a Permit to Work System. “We urge contractors to take these processes seriously, and also ensure that control measures are implemented to mitigate WAH risks,” Mr Chan Yew Kwong, director of MOM’s Occupational Safety and Health Inspectorate, said. Under the WSH Act, employers may be fined up to $500,000 for the first offence if they fail to ensure workplace safety and health, while individuals can be fined up to $200,000 and/or imprisoned up to 24 months for offences under the Act. The introduction of Casual Friday changed our idea of acceptable office attire. Could 'Workout Wednesdays' or 'Fitness Fridays' do..